Meeting in Gorno-Altaysk. We are starting the trip with visiting the local history museum named by Anokhin. There we are going to review the whole way of our tour and to explore all the puzzles of Altai civilization. Today we will start to introduce with part of legend silcky road and the most beautiful road at the world (is included at list by UNESCO). After will stop at the sacred Karakol valley – the center of natural-ethnic park “Uch -Enmek”.Excursion along the natural-ethnic park. A journey through the Karakol valley (mounds, balbals, presentation of the shamanism). In the evening – degustation of Altai national dishes. Duration by day 190 km. A trip along The Great Silk Road, which has been connecting Russia with Mongolia and China. The first check-point is confluence of two strongest Altai mountain rivers: TheChuya and The Katun. A lunch during the way. Visiting the natural park’s “Chui-Oozy” visitor center, cave drawings of Kalbak-Tash tract. Overnight stay in the eco-tourist complex “Kochevnick” near Chibit village.Dinner. Duration by day -170 km. We’ll visit a real mystery of nature – a geyser lake. We’ll see with our own eyes Altai Stonehenge. Behind the Kosh-Agach village we’ll leave civilization and deep inside wild nature. Tall always with snow peak will changed like a desert. But at the end of day again we will meet grate mountain of Altay. Off-road journey deep to the real Altai. A border control and Tarhatinsky megalithic complex. 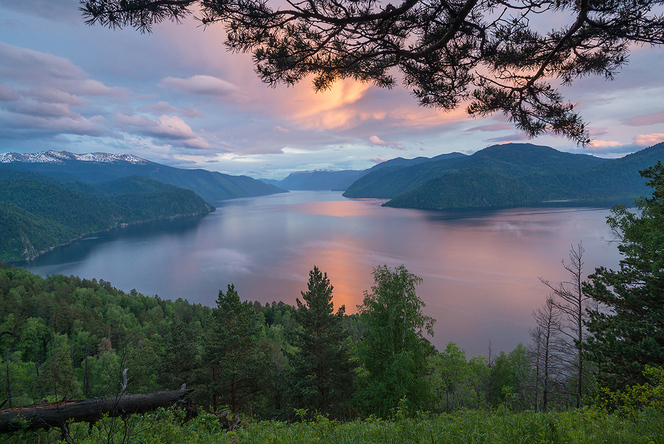 By the evening we’ll reach sacred place of Altai people - Dzhumalinskie spring.  The overnight will spend in Altai ail – national housing of Altai people. Day 4 - 6. 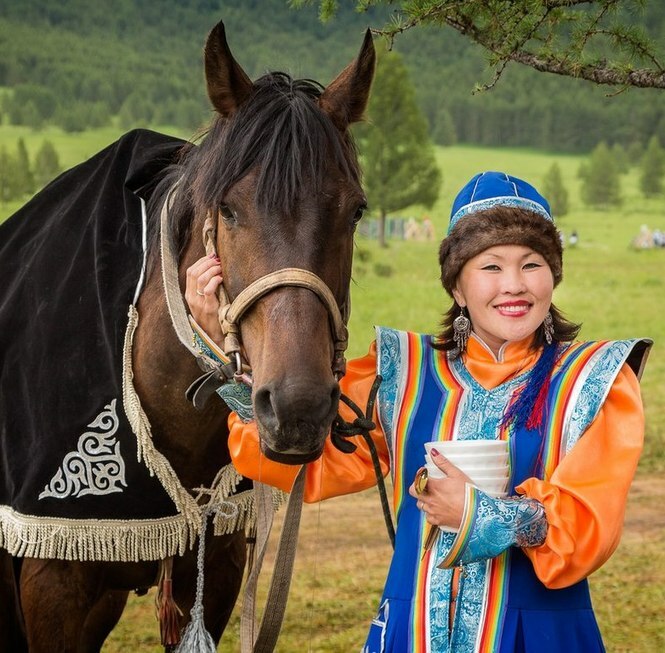 Plato Ukok is cradle of Altay princess. Our road at sacred place of Altay. There are cradle of Altay princess and realy amazing nature. You should to visit this place at your life thought once. Nobody a many kilometrs around. And we will see mountain at 4 side of us. A border with Mongolia, China and Kazakhstan. Only nature, silence and garmony. Overnights by tent. Day 7. A walk on Mars. A walk on unearthly landscapes in the morning. And after will continue our introducing with Altay civilization and nature. Going to Pazuruk mound and the steepest pass of Altay - Katy-Yaruk. We will see panoramic view of Chulushman valley. Overnight at guest house. 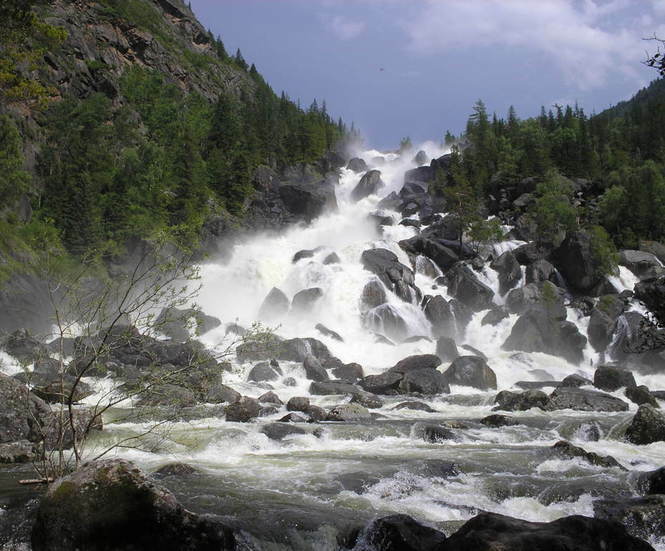 Trekking to the largest cascading waterfall of Altai - waterfall Uchar. Tall is 160 metrs. By foot - 9 km only one side. All the way is really beautifull way closed mountain river. Day 9. Nature miracle is stone mushrooms. Crossing the river by small boat and going to one of the incredible thinghs making nature self. It's amazing how "mushrooms" the size of a three-story house have survived to our time. Day 10. From South to North of Teleckoe lake. After breakfast our boat waiting us. Amazing lake walk by boat from south to north lake. By the way we will visit waterfall Corby and a small village Yalu. Yalu is village where begining Altay nature reserve area. Teleckoe lake is named by local people Altun kul what translated like Gold lake. Relax time at lake. We can ride a horse, taste local food and meet with local culture. Transfer to airport. We will wait you again. A couple of times during the expedition we are going to passa night in tents. There are no other variants on the Ukok plateau. Children of any age are accepted. But only with parents. It is expected to visit the border zone and to obtain a special permit for visiting: for Russian citizens – it is usually ready in 1 month, for citizens of other countries – in 3 months. Please, take this into account when you apply.